Now imagine these paper cut-outs as grand in scale as the great Mexican murals, built to withstand Texas hurricane winds and abate freeway noise, but like their paper ancestors, letting air and light pass. Rendered in paper, the delicate cut-outs might seem as ephemeral as the lived experience they celebrate, but cut into steel, they speak to the enduring significance of culture, life and hope. 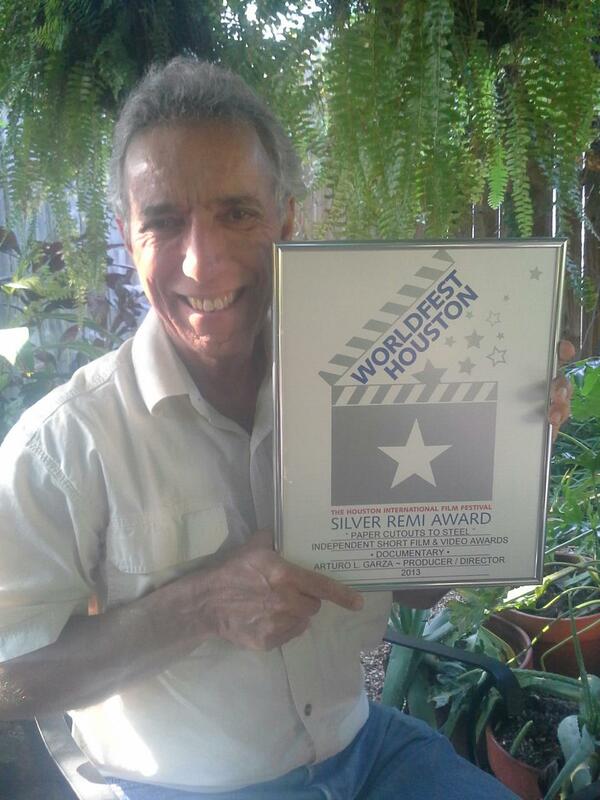 Paper Cutouts to Steel is an award-winning documentary produced and directed by Arturo L. Garza, Katudi Productions.